There’s a lot of discussion going on at the moment about the SBDRC, SBR, PBD and a whole lot of other acronyms that don’t really make much sense to your average drinker, let alone what the proposals might mean. Hopefully this will help clear it up. 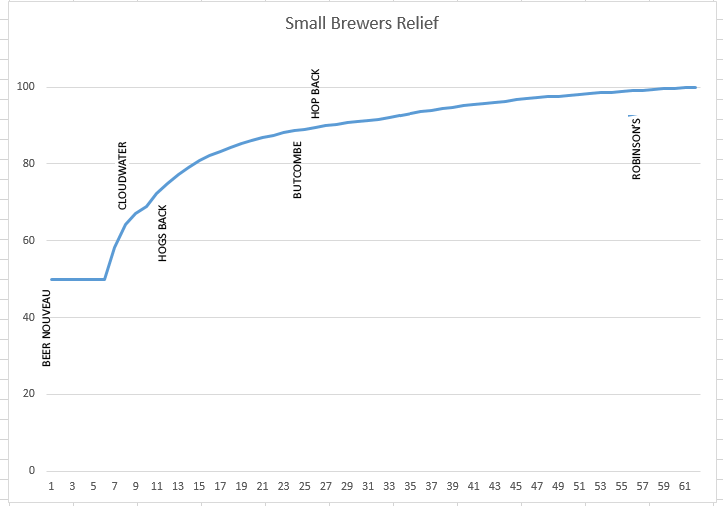 The Small Brewers Relief (SBR) is a Progressive Beer Duty (PBD) that was campaigned for by SIBA (Society of Independent Brewers) for many years and introduced in 2002. SBR works by reducing the amount of Duty breweries pay depending on their size. Any brewery producing under 5,000 hectolitres of beer a year pays 50% of the standard Duty rate. 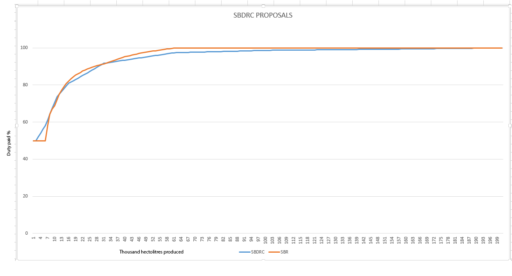 Between 5,000 and 30,000 hectolitres there’s an initial increase in the rate, and between 30,000 and 60,000 hectolitres there’s a second, slower increase in a decaying curve until the rate paid is the full 100%. I’ve chosen these breweries for no other reason than I can find out their 2017 production. 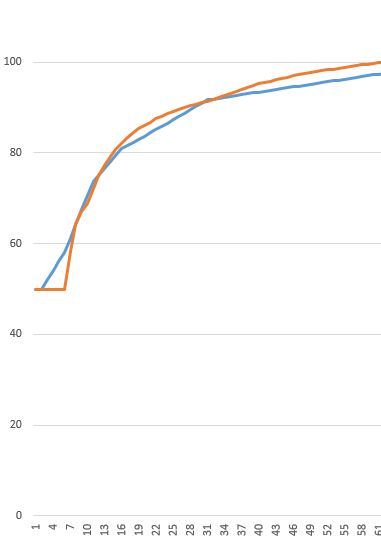 As you can see from this chart we’re small. We’re happy that way. Cloudwater are seen as one of the best new craft breweries in the UK and are still on the growth chart, albeit well on their way up the initial steep increase. Hogs Back, Butcombe and Hop Back are three well-established microbreweries with the latter two on the slower increase of the relief, and Robinson’s are a large family brewer with their own substantial tied estate and their range of Trooper beers. This chart, with these names, should hopefully give you an idea of how SBR works, and how it is applied to breweries of different sizes. In January last year (2017) the Small Brewery Duty Reform Coalition (SBDRC) was formed from “over forty small and medium-sized breweries” with the aim of getting a change to the Small Brewers Relief. This initially sounded like a great idea and got a reasonable amount of publicity, and new members, including Magic Rock, Kirkstall, Beavertown and Siren Craft, representing some of the newer breweries, signed up in May 2017, joining the established micro, family and regional breweries and larger operations such as Marston’s with their Wychwood, Brakspear, Jennings, Hall & Woodhouse and Ringwood. 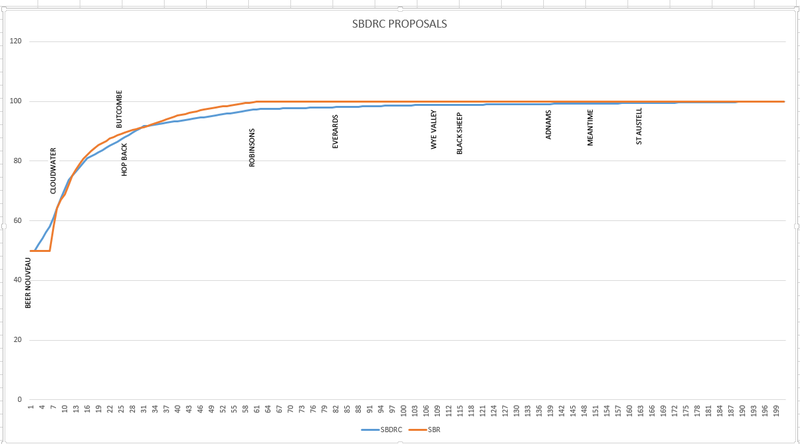 However, in October 2017 SBDRC released their proposals, seemingly without some of their members agreeing to them first. HMRC to ensure full compliance by all breweries by closer scrutiny. The first of these points is what’s causing concern, and internal wrangling amongst brewers and trade organisations, including the SBDRC themselves. Dropping the 50% limit from 5,000 hl to 1,000 hl will hit those breweries that are just starting to grow. A 5 or 6 barrel microbrewery with 3 fermenters is what a lot of breweries start out with and provides just about enough capacity to supply a small local area and a few beer festivals. In fact the SBDRC recommendations themselves describe breweries below the 1,000hl limit who won’t be affected as “micro brewers competing on a very local basis.” But if you want to supply further afield, if you want to grow, then you’ll very quickly operate between the 1,000 hl and the 5,000 hl mark. In Manchester I believe that Blackjack, Runaway and Marble are all in this band and would suddenly have to pay more Duty, decreasing their margins still further, or increasing their prices. This does not encourage growth, it stops it. It stops any new brewery potentially becoming commercially sustainable and potentially growing to the point where it might compete for space on the bar with the bigger breweries. Since this first point was announced, several of the breweries that signed up to support the SBDRC were contacted by small breweries and asked to withdraw their support. A public joint statement was released by some stating that they did not agree with this, and that they would never support it. That statement was quickly removed, but I do think we could soon see something out to replace it. Richard Burhouse of Magic Rock has stated on Twitter that he’s not in favour of the removal of SBR and if there was a suggestion of its removal as one of the aims of the SBDRC they’d have nothing to do with it. I hope that other breweries whose names have been associated with it also feel the same, and act upon it. The aims were initially so vague that it seems many breweries signed up to a review, and are now having their brands associated with something they really do not agree with. Even SIBA have come out against the proposals. Whilst they do believe that the scheme could be evolved to include more independent breweries, they don’t seem to believe that the lower limit should be lowered even further. The second point – raising the limit to 200,000 hl – is less controversial, although the limit to raise it to is. 200,000 hl is a lot of beer. To put that figure into perspective, possibly the biggest craft brewery in the UK, BrewDog, produce 220,000hl. 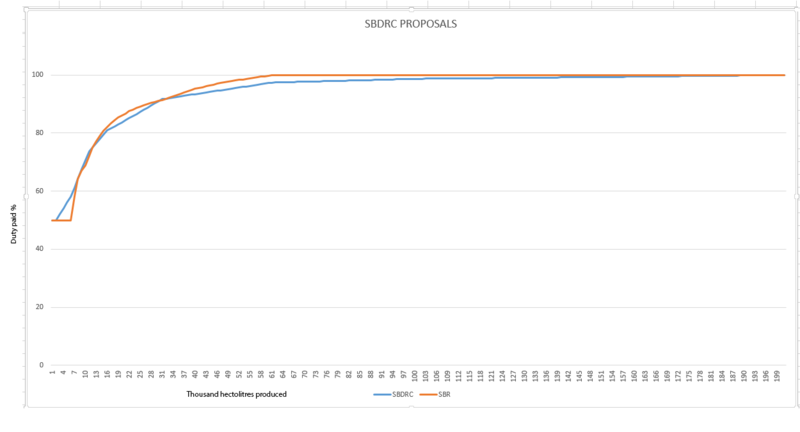 (Please be aware, the figures for the SBDRC amounts are based on the linear information I was able to get; the actual line would be less angular). 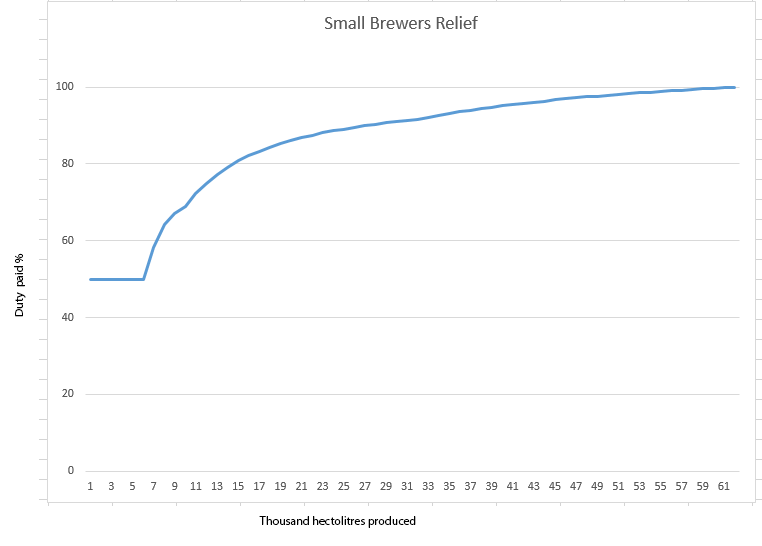 Breweries producing between 1,000 hl and 10,000 hl would suffer the most, whilst those from about 10,000 hl to 30,000 hl would receive roughly the same relief as now. Breweries above 30,000 hl would save money straight away, encouraging those closer to the 30,000 hl range to grow. 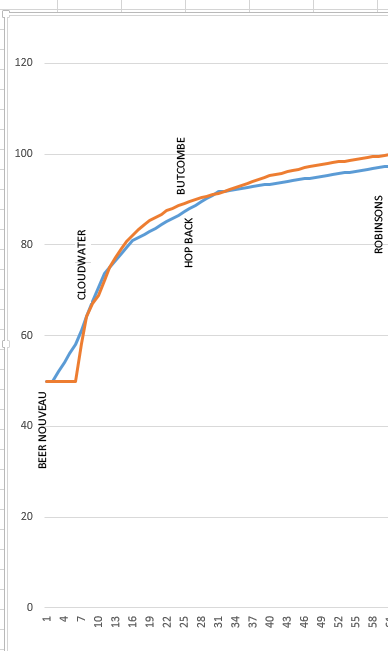 We can see here that breweries along the scale between Cloudwater and Hop Back wouldn’t see much of a change, whilst breweries between our small scale and Cloudwater’s would see a hefty reduction in the Duty relief they would receive. Breweries such as Marble and Blackjack. What’s also worth noting here is that to benefit from this proposed Duty reform, a brewery would need to be at least the size of Robinson’s. As breweries then get larger the level of relief reduces, but the level of production makes up for that. In short the only breweries that will benefit from these proposed changes to the levels of Duty relief are the large ones, and the ones looking to become large. The third proposal is to exclude export volumes from SBR calculations, as long as the brewery doesn’t produce more than a total of 200,000 hl. A very good argument in favour of this is that beer brewed for export does not have UK Duty applied to it, so why should it count towards the SBR? Removing this would mean that breweries such as Adnams, Magic Rock, Robinson’s and Greene King who export would see their SBR level reduced and would be able to claim more Duty relief. It would, however, be possible for a UK-based brewery to produce 199,999 hl of beer and benefit from the economies of scale from the purchasing power and equipment efficiencies, and then export 198,999 hl of that beer, and only pay 50% of the Duty rate on the beer sold within the UK. That’s a very, very unlikely scenario, and whilst I agree that there should be a reduction on beer produced for export counting towards the SBR a brewery pays, to help encourage breweries to expand into export markets (possibly an essential move given the imminence of Brexit, with or without trade deals in place), I do think that perhaps a safety net needs to be put into place to stop scenarios like this. The fourth proposal is possibly the most worrying indicator of future trends, however. That mergers and acquisitions are subject to a “Transitional Relief” to retain the combined SBR benefits for three years. 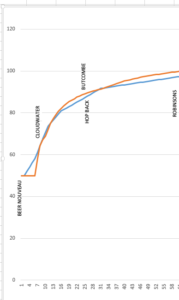 For example, if a brewery producing 100,000 hl a year buys up a brewery producing 12,000 hl a year, the parent brewery is then subject to the combined 56,000 hl SBR level, the sweet spot with the largest production to relief ratio. That means that should a brewery at about Black Sheep’s size buy up a brewery of roughly Cloudwater’s size, they would then be getting the best possible Duty relief. Admittedly this would be phased back down over three years and SBDRC do mention “strict rules” to avoid “gaming” the system. But they don’t mention what those rules would be. So as such there’s nothing in place to stop a brewery buying up a smaller brewery purely to benefit from their SBR, then closing them down within three years, and buying up another small brewery and closing them down, and continuing to do this purely to save money on the Duty they would otherwise have to pay. Unless those “strict rules” actually are strict and are able to stop this. The fifth proposal is for a further review of SBR in three years’ time. I may be being cynical, but three years really isn’t a long time in brewing. Small breweries may come and go quickly, but getting used to one system takes time, and by the time small breweries have got used to it, it’s looking to change. Whereas for larger breweries with accounts offices and in-house lawyers this frequent change isn’t so much of an issue. Which ties in nicely with the sixth proposal, to have HMRC scrutinise breweries more closely. For the larger breweries this also wouldn’t be a problem: appointment booked with accountant and turn up to find everything in place. For the smaller breweries though, this means time out of the brewing schedule, or a day when you can’t go out on sales calls or deliveries. These last two proposals seem sensible on the face of it, but add to the workload of the smaller brewers, whilst the first two proposals reduce their margins. What does this potentially mean for drinkers though? Well, it’s not good news. The larger breweries will benefit financially, and either keep that money as extra profits for their shareholders, or use it to reduce the price of their beers to further undercut medium to smaller breweries. The larger of the small breweries through to the smaller family and regionals won’t see much of a difference to the amount of Duty they have to pay, but they will have the larger breweries suddenly able to undercut them. 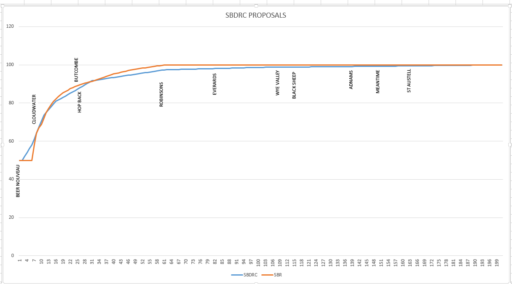 The smaller micros will be hit hard by these proposals. Their costs will go up, the breweries above them will be pushing down, and their margins would be cut even further to try and stay competitive. The barrier to expand for them will have grown too to the new 35,000hl sweet spot which is a large leap. The smallest of the micros will find everyone above them driving down, restricting the marketplace even further, and have a new 1,000 hl limit to growth introduced. That’s the change from 5bbl to 10bbl. We could very well see some 10bbl breweries scale back production to stay afloat, we’re very likely to see several 10bbl to 20bbl breweries close. And we’re almost certainly going to see the number of new breweries opening almost dry up as the newly imposed 1,000hl threshikd for SBR will hit the vast majority of business plans for small breweries. All told, if these proposals go through, the choice of beer available to drinkers will be drastically reduced and the bigger breweries will become more powerful.